Some of you may remember the action-packed schedule of events we ran last year called Mayhem. Because it was such a huge success, with hundreds of Commanders, streamers and community groups taking part, we've decided to do it again! CQC Mayhem will run for four weeks, beginning on Tuesday February 16, ending on Tuesday March 15. Check back on this page next week to see the CQC Mayhem schedule start to grow, we'll also put the full schedule in next week's newsletter. This time we're putting a focus on CQC and Arena, and we need your help making it the biggest schedule of Elite Dangerous events yet! Send your CQC event and stream submissions to community@frontier.co.uk with the subject title 'CQC Mayhem'. You can submit as many or as few streams/events as you want between the dates listed above. Just let us know the details of your events and we'll add you to the schedule. Not only will you feature on our schedule alongside the amazing Elite Dangerous community and our official streams, but your event will also be promoted on our official social media pages. Get in touch to find out more about some of the incentives we're offering to get people involved. We're kicking things off on Tuesday night at 6PM GMT with the Danger Zone live stream, which you can read more about further down in the newsletter. All events are being held in Arena. Make sure you select Arena from the main menu in Elite Dangerous, Arena, or Elite Dangerous: Horizons to get involved. If you have an event you'd like to get added to the schedule, send an email to community@frontier.co.uk with the event details. 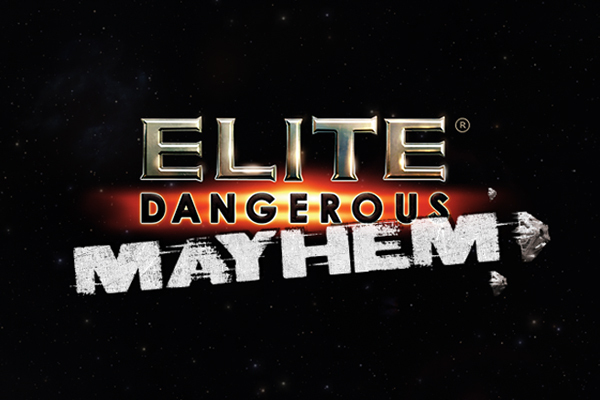 Come and take on the Elite Dangerous developers, win prizes, and see who out of the developers chosen will come out on top! Join the EIC for some Monday Night CQC! Come and play CQC with German Community Ambassador, Smintili. Join Stephlan_churros for some CQC action. Come and play CQC with Rezri - On his birthday!